I absolutely love homemade decorations. There is just something so satisfying about looking at your party room and thinking “Hey – I did this and it’s awesome!” The above photo is from the super talented Paula at Frog Prince Paperie. She was kind enough to let me post about her Tissue Pouf Ball Pom Pom Arrangement here to share with all of you. 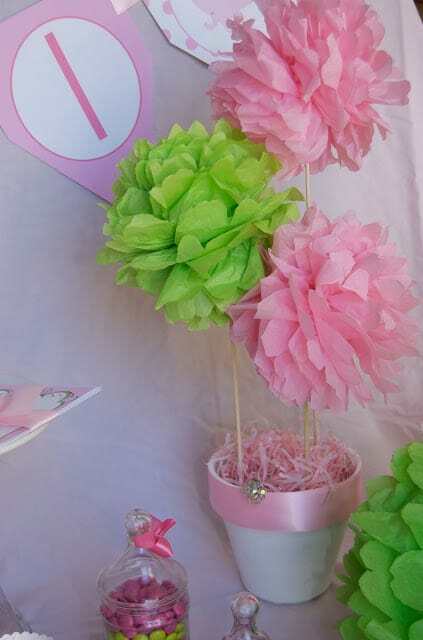 Not only are the tissue pouf balls adorable but they are in my favorite color combo – pink & lime green! This week marks the 1 year anniversary of Moms & Munchkins. I haven’t quite decided how we’ll celebrate this milestone in our home. Two things I know for sure – there will be cute decorations and there will be cake! Lots of cake. When I saw Paula’s tutorial I knew this is something I wanted to try. Not only are they adorable but I already have all of the supplies at home! With Paula’s easy to follow instructions, I had no problem creating my first one. Here’s my first of many: Don’t worry if you accidentally tear a piece (or 2) of the tissue paper. I did but they still look fabulous. 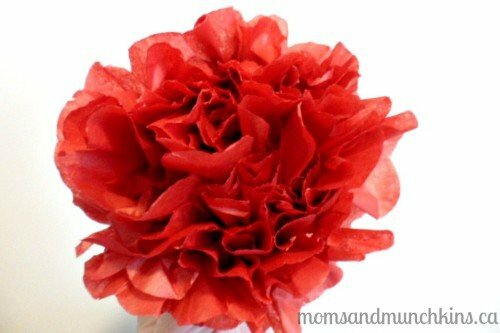 Paula also provides instructions for making a tissue pouf ball pom pom arrangement. I’ve also created large white ones and taped a few of them together to make adorable clouds on the walls for rainbow parties. There are so many cute ways to use these tissue pouf balls! To stay updated on the latest and great ideas on Moms & Munchkins, join our community on Facebook. We have over 10,000 members and we’re growing every day. We’d love to see you there – be sure to pop by to say HI! Off to get some pink and purple tissue paper to put them in my daughter new redone room! YEAH! I forgot about these thanks for the reminder. Very pretty! Love the color you used! This is amazing! You really can use these as decorations for anything… I keep forgetting I want to learn how to do this. Now I have no excuse not to! These are so cute, it would be perfect for a baby shower. I am so not crafty but it looks fairly easy to do! These are adorable. They would be perfect for making for the kid’s classrooms.